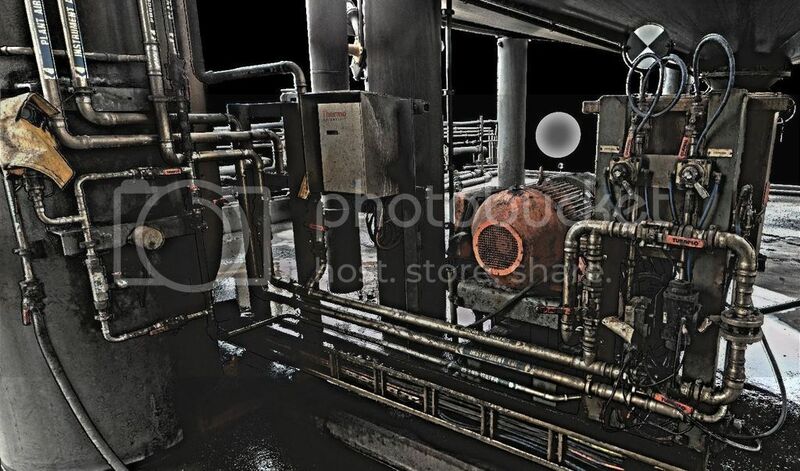 3D laser scanning, in the way Complete 3D Concepts uses it, is a process of capturing an existing environment or large item using a Terrestrial Laser Scanner, in our case a Leica P30. This process involves our technician(s) coming to the site or the place that the item is and performing (usually) multiple scans in order to capture the site or item. Once the scans have been performed, the technician then returns to our office with the captured data and correlates it into a point cloud file for use in applications like CAD and 3D Visualisation workflows, BIM CAD models, Analysis and other digital scene reconstruction purposes. 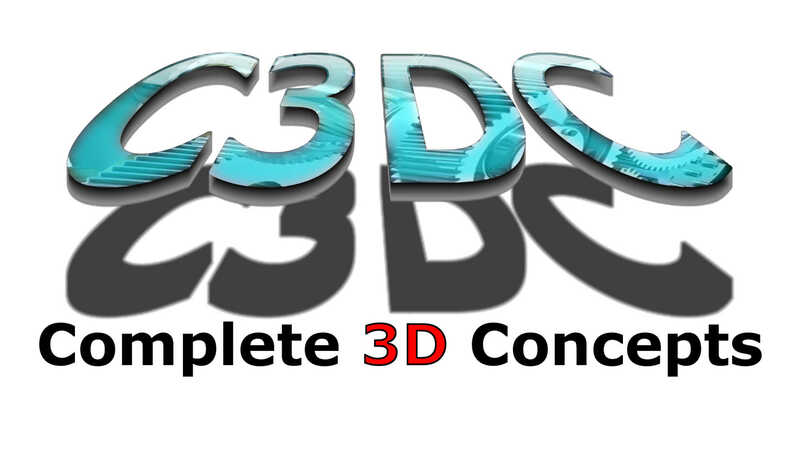 As the name suggests, a point cloud is a series of points in 3D space. Just like the Dot-to-Dot or Join the Dot books of our childhood, a Point cloud is a 3D series of points depicting something that has been digitally scanned in some way (minus the lines to make the picture). The 3D Laser Scanner (as the name suggests) sends out a laser beam which then reflects and returns to the scanners sensor. The scanner then uses its on-board computer to work out where in space the return came from and creates an X, Y, Z coordinate relative to the centre of the scanner for each return. The Scanner is capable of doing this up to 1,000,000 times a second. 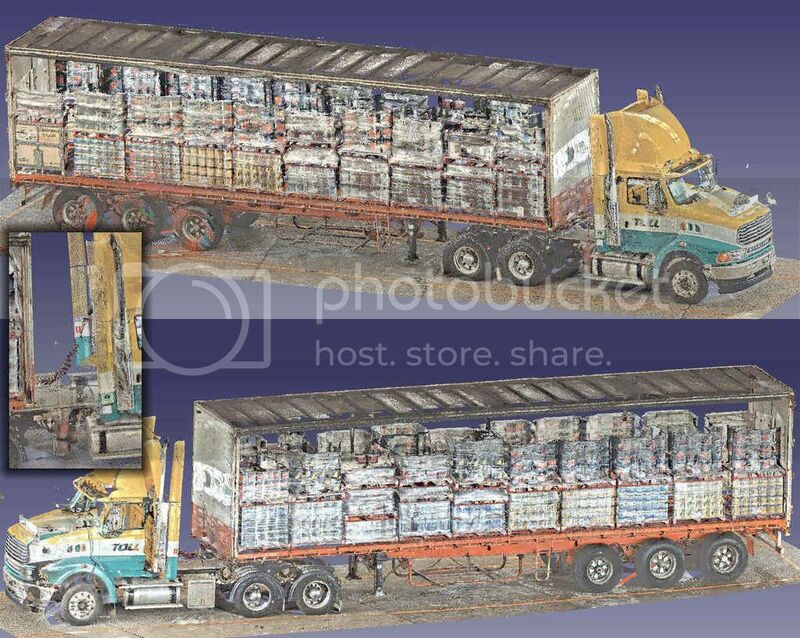 The result of this scanning process is a Point Cloud. Check the Helpful Links section on this page for the Leica promotional videos on how it all works. Almost anything can be scanned. The only limitations are highly reflective items like mirrors and highly polished surfaces, transparent items like glass and liquids and items that refract and reflect light, like number plates and hi-vis clothing reflective panels. That said, some items you might think would not get a return, like a car paint job or stainless steel will often give a return, just not from every angle, so may require some additional scans to get enough information. Can it pick up colour? The laser itself cannot detect colour, but the scanner has a built in camera for taking colour images once the laser scan has been done. Once the job is completed and the data is taken back to the office, our software lines up the laser scan and the 360 degree photos from each scan location. Where a point and a pixel align, the software assigns an RGB (Red Green Blue) colour value to that point. The software then uses this information to display the final point cloud in colour, meaning you get a 3D colour point cloud of the scan location. What does the point cloud look like if I don’t get the colour photos taken? As well as recording an X,Y,Z coordinate for each return to the scanners sensor, the scanner also records an intensity of the returned light. When put into the registration software this return intensity value is used to display either a grey scale or RGB gradient colour values for each point. Most software is capable of displaying these colour values and as such it is still very easy to make out everything in the point cloud. Below are some examples of what that can look like. Colour captured by the scanner’s camera. Can we scan large areas or multiple levels of a building? Yes, it is possible to scan large areas and even multiple levels provided there is a way to treverse around the site doing scans in locations with common lines of site. To be able to go up levels inside buildings, it is necessary to have at least one stairwell to traverse between levels. It is often prefered to have at least 2 stairways, one on either side of the building ideally, or a line of site to a common point though an open door or window from each level. How many scans does it take to scan a site? Unfortunately there is no easy answer to this as every site is different and every job requires a different deliverable. If the job only requires the locations of floors walls and ceilings, in most cases that will require 1 scan per room and typically one in the doorway between rooms depending on the site layout and scanning process used. 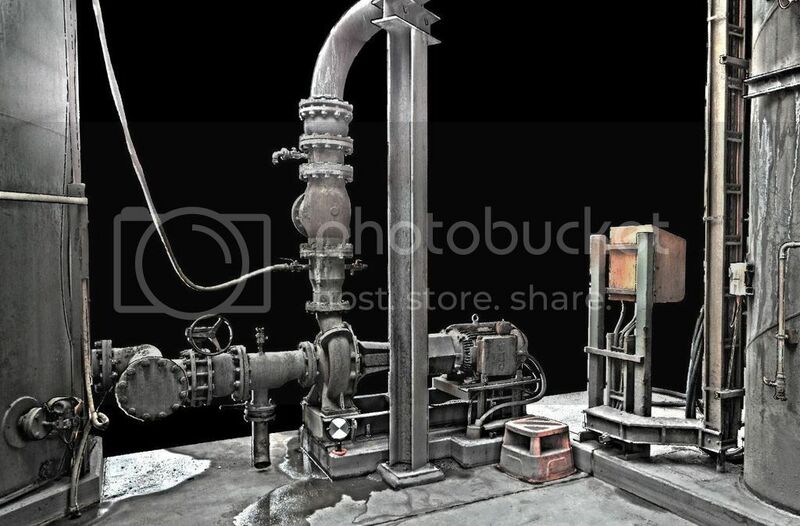 If the job requires that equipment and structure be captured than that could mean atleast 2 scans per room and considerably more depending on the equipment layout and level of detail that needs to be captured. 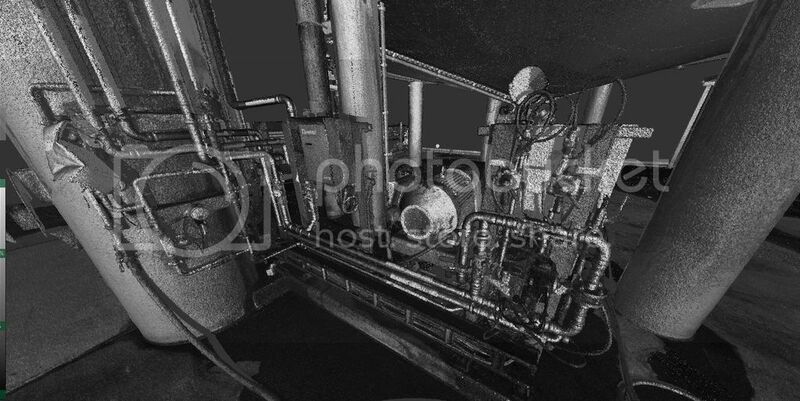 as a rule of thumb 4-8 scans can capture most rooms with quite complex equipment layouts. If there is a requirement to use software to extract 3d solid data from the point cloud using automated functions, more scans may be required in order to have enough information in the point cloud for the software to work. 2) Is colour scan data required? 3) The difficulty of getting those scans done. Eg scans on top of platforms with limited access or if it is difficult to traverse between scan locations. Most scan jobs of small areas like offices, houses and partial production facilities cost between $1000 and $2500 +GST. How much detail can it capture? Typically scanners refer the level of detail they capture by way of point spacing at 10 meters from the centre of the scanner. The Leica P30 scanner is capable of scanning at settings from 50mm – 0.8mm at 10 meters. Most jobs will use the settings of either 6.2mm @ 10m or 3.1mm @10m depending on the job. This means if there were a sphere with a radius of exactly 10m (20m diameter) centred around the scanner, the resulting point cloud would show as a spherical grid with a point every 6.2mm or 3.1mm.Due to the way the scanner works the closer something is to the scanner the more points it gets on it and vice versa. This means in most cases the scanner is picking up ultra fine detail due to the proximity of objects to the scanner. However the Leica P30 scanner Complete 3D Concepts uses is capable of getting returns from up to 120m away. If necessary, it is also possible to do small areas of a scan in finer detail to keep the scanning times to a minimum, but still get all the detail required. Truck that was parked in the middle of a scan job. Car Parked near by a scan location. 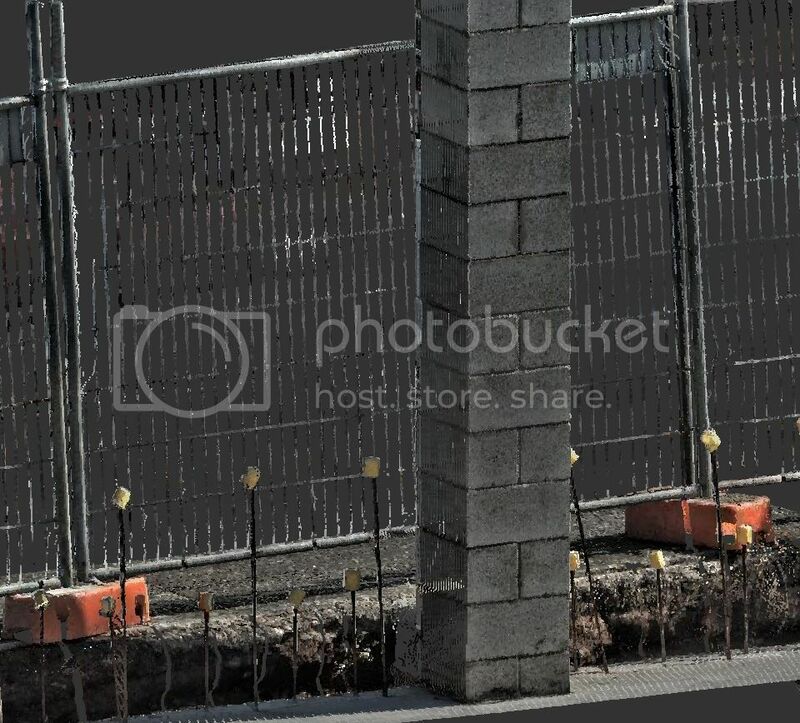 Construction Fence and Brick Column. How big are the point cloud files? The average job seems to be between 10 and 30 gigabites for the complete point cloud without any form of reduction of detail. However this can be reduced to as little are 0.5 – 2 gigabites once all excess data has been stripped from the point cloud. While these file sizes sound massive and likely to be unmanageable when compared to “normal” file sizes like office documents and even other 3D modelling files, most 3D drafting and modelling programs have been updated to deal easily with these files. As a result in most cases the file size of the point cloud isn’t a consideration for anything other than hard drive space. The use and management of these files is something Complete 3D Concepts will work closely with you to optimise for best practices when you use our scanning services. 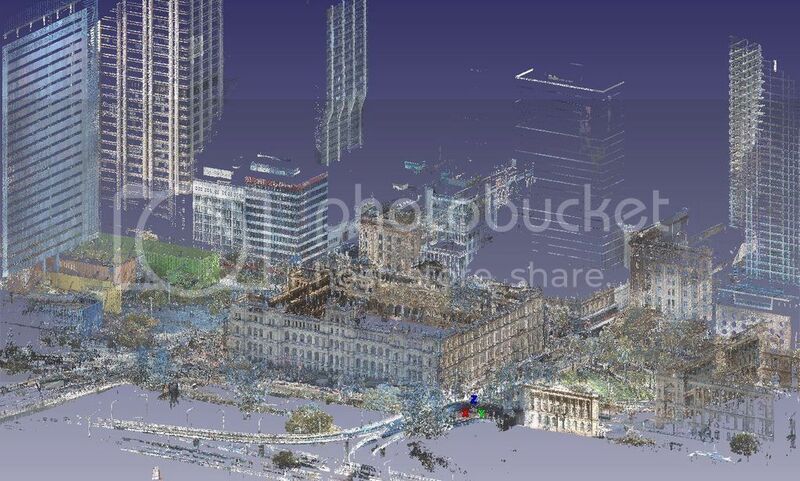 What is a “Decimated” point cloud? As this question is boardering on the realm of software programming jargon, we feel it is best to leave it to an expert to explain. While we are good with software, we are from from software developers. We found this explanation online and we think it is brilliant! For point reduction during unify it has been described to me by the engineer who originally design it that if you say you want 2mm density max, it logically divides the entire scene into 2mm cubes. Then it picks the one point within each cube, closest to the center of the cube and deletes all others. Therefore you will not be guaranteed an even distribution of points. You will not have any guarantee of distance between any 2 points. But overall, per 2mm cube you will have only one point. Of course any 2 points could each be the only point in their respective cubes and they may be very near coincident faces of the cube and actually only be 0.00000001 mm apart and still each qualify to remain in the final set. 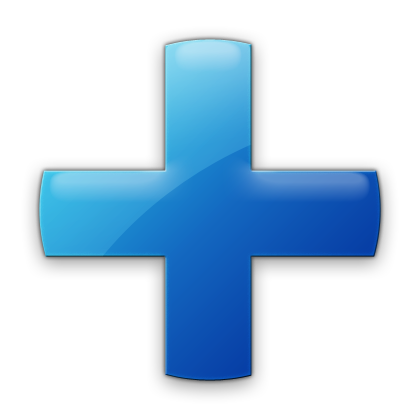 Depending on the scan settings a scan can be done in as little as a minute or as long as 2hrs. The average time between locations is 6 – 20 minutes for most jobs, meaning very large areas can be covered in as little as a couple of hours or entire sites in a day or two. How long will it take to get my point cloud after the site has been scanned? Most jobs can be delivered in 24-48hrs after returning to the office. However large jobs can take much longer to process. This is something that will be discussed in detail when engaging our services. Can my software work with point clouds? Most of the leading software companies have modified thier software to handle large point cloud data sets. Below is a list of some of the leading 3D software on the market and (that we know of so far) the point cloud file formats they can use/import. Autodesk Recap – Recap .RCP & .RCS files, Leica .PTX, .PTS, .PTG & .PRJ files, Faro .FLS, .FWS, .ISPRJ & .XYB files, Lidar .LAS files, Zoller & Frolich .ZFS & .ZFPRJ files, Topcon .CL3 & .CLR files, Riegl .RDS files, Autodesk Point Could files .PCG and .E57, .XYZ, .TXT & .ASC Point Cloud files. Vectorworks – Leica .PTS files, Lidar .LAS files and .E57 & .XYZ Point Cloud files. Sketchup (with the UNDET4SketchUp addon) – Leica .PTS files, Faro .FLS & .FWS files, Topcon .CL3 & .CLR files, Zoller & Frolich .ZFS files, Lidar .LAS files, and .E57, .XYZ, .ASC, .FPR, .LSPROJ & .RSP Point Cloud files. If you do not see your software here it does not necessarily mean it will not work with point cloud data, it just means we have not come across it yet. We are happy to help as much as we are able to, so if you have any doubts, feel free to get in touch at any time. We have never used 3D Laser Scanning before, what happens after we get our Data? Teach your people everything we can about working with scan data. Work out the best format of point cloud to use for your particular software and computer setup. Gain a better understanding of your workflows and typical deliverables in order to ensure the best possible working relationship on any future jobs. Make a record of any company specific requirements so that we can deliver the data to you in the best possible format the first time on future jobs. After the initial day in your office, we will be available to answer any questions and assist with any issues as best we can via the phone, web conferencing or another visit to the office if required. This will mean that you should be up and running with point cloud data on the first day of receiving it, and not have any major hold ups on your first project using point cloud data. After your first project we will allow up to 4hrs on the second project free of charge for assistance if required in your office and additional phone support as needed thereafter. NOTE: This service is provided at no additional cost on the first project for businesses in South East Queensland. If this service is required for businesses outside of South East Queensland additional costs will be incurred for travel expenses only. We have received point cloud data from another source but can’t work with it, can you help? In a lot of cases yes. We are happy to convert point cloud data to a useable format for you at a low per job cost. • The importance of keeping Recap up to date. • The current process of downloading and installing the latest version. • The way the professional and free versions work after being installed. • The process of setting up and opening both RCP and RCS files. • The dangers of using save as..
• The process of importing non-native file formats into Recap. • Some of the differences in file formats. • Navigation of the point cloud. • The user interface when working with point clouds. • preparing the point cloud for use in AutoCAD and Inventor. 2:07 min video. In this video clip you can discover the process of importing Point Cloud files to ARCHICAD by using a dedicated, new command for Point Cloud import. ARCHICAD 19 supports the E57 and XYZ Point Cloud file formats. 3:26 min video showing how to import and work with point clouds in Vectorworks. 15:05 min video. This video is an overview of Undet4SketchUp V1.0 – an extension for Trimble SketchUp Pro. 5:57 min video. SolidWorks Premium allows you to take raw point cloud or mesh data directly from a 3D Scanner and use the data to create a SolidWorks model from it. It is an easy to use wizard and an example of all the steps is shown in the video.